New Law Increases Foreclosures in Palm Beach County | The Law Office of Emil Fleysher, P.A. New Law Increases Foreclosures in Palm Beach County | The Law Office of Emil Fleysher, P.A. Palm Beach County is feeling the full force of Florida’s new foreclosure law with an increasing volume of new filings. July 2014 marks the one year anniversary of Florida’s “Fair Foreclosure Act”. The Florida Legislature passed this law requiring, among other things, the plaintiff to confirm in their foreclosure complaint that they are in possession of all the necessary documents to support their case against the defendant. 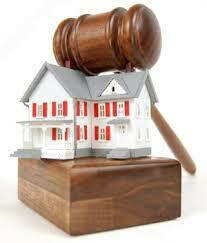 The law, also referred to as the “Speedy Foreclosure Act” went in to effect on July 1, 2013. July 2014 forelcosure filings were only increased by a small percentage but have gone up dramatically, 38 percent to be exact, in comparison to last year before the law took effect. 533 new cases were filed in July 2014, increasing by 7.2 percent from the 497 new cases filed in June 2014 and in July 2013 there were 387 cases filed, making a leap of 37.7 percent increased cases in a calendar year. These statistics were given by the Clerk & Comptroller of Palm Beach County where they also house all official records, record all mortgages and deeds for Palm Beach County. There was a substantial decrease in new cases after the law took effect, and the real estate market in Palm Beach County grew stronger because of it. There was an increase of recorded deeds and mortgages in Palm Beach County in July 2014. In June 2014 there were 6,318 deeds recorded and in July 2014 there were 6,714 deeds, increasing by 6.27 percent; however; in July 2013 6,985 deeds were recorded, decreasing by 3.9 percent. During July 2014 3,460 mortgages were recorded, and in June 2014 there were 3,036 recorded mortgages which is a 14 percent increase; however, there is a 20.6 percent decrease in July 2013 with 4,358 recorded mortgages. According to Grant Street Group’s statistics, the coordinators of ClerkAuction, 795 properties were sold in the foreclosure auction in July 2014, 620 of those homes were sold back to the Mortgage Company or bank, and the rest of the 175 were taken by third parties. The cancellation rate in July was at 34 perfect with 410 foreclosure sales cancelled from the 1,205 original sales scheduled, which is .6 perfect less than in June with a 34 perfect cancellation rate.